The ABERTAX® CLS - STANDARD is our basic version for monitoring the electrolyte level in a battery. 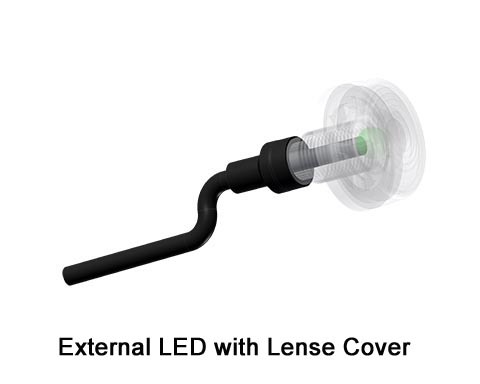 The level probe is integrated in the LED housing, giving a steady GREEN signal, when electrolyte level is above the cell plates, and turning to flashing RED, when the electrolyte level is below the cell plates. Please follow the attached installation instruction. To install the CLS, you either drill a hole in the cell lid and use the Gauge Gauard version for sealing and measuring the probe length, or you make use of the air agitation hole. For this installation you need the O-ring version. 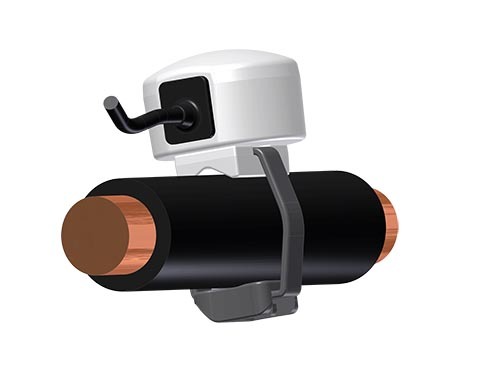 The ABERTAX® CLS - with external probe and external LED is our version suitable for small shape batteries for monitoring the electrolyte level in a battery. 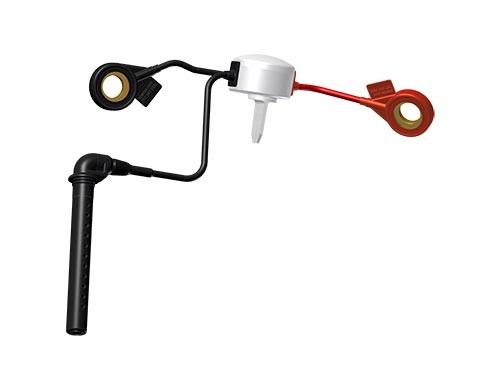 The level probe is external and has an external LED housing, giving a steady GREEN signal, when electrolyte level is above the cell plates, and turning to flashing RED, when the electrolyte level is below the cell plates. 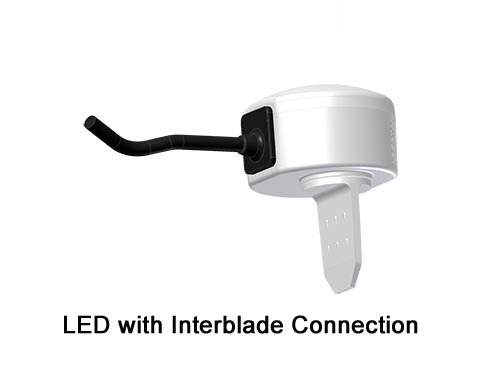 The external LED is available to be mounted with strapping brackets in the cell connector (Version Strapping Brackets) or as an inter battery blade to be fitted between the cells (Interbatterblade Version). Please follow the attached installation instruction. 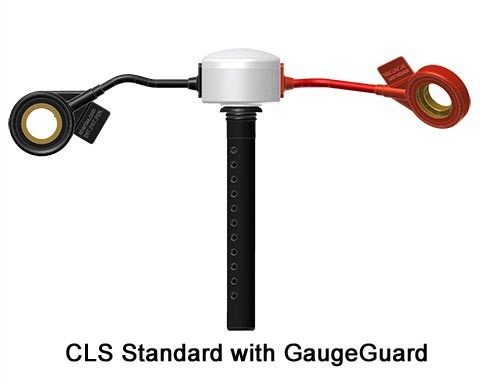 To install the CLS, you either drill a hole in the cell lid and use the Gauge Gauard version for sealing and measuring the probe length, or you make use of the air agitation hole. For this installation you need the O-ring version. 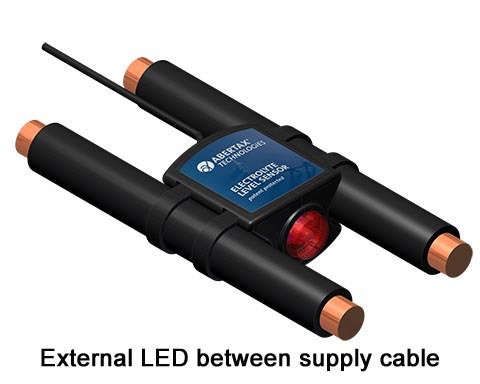 The ABERTAX® CLS - with external LED and sense cover is our version for providing the means of monitoring the electrolyte level of the battery on the dashboard of the vehicle. 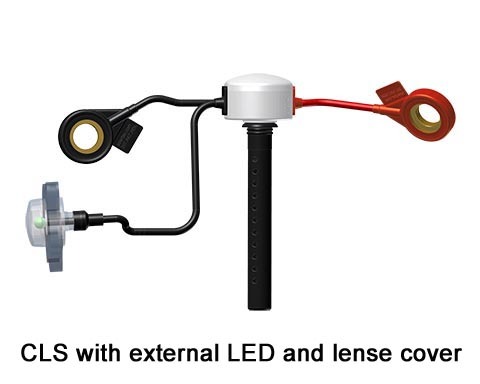 The external LED housing has a lens cover which gives a steady GREEN signal, when electrolyte level is above the cell plates, and turning to flashing RED, when the electrolyte level is below the cell plates. Please follow the attached installation instruction. To install the CLS, you either drill a hole in the cell lid and use the Gauge Gauard version for sealing and measuring the probe length, or you make use of the air agitation hole. For this installation you need the O-ring version. 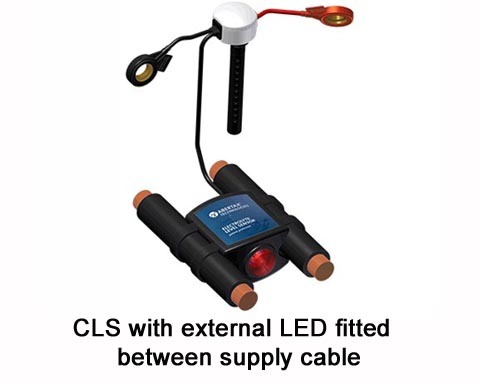 The ABERTAX® CLS - with external LED fitted between the supply cables is our version for monitoring the electrolyte level of the battery below the battery main connector between the supply cables. The external LED is fitted in an external housing mounted with strapping brackets between the supply cables just underneath the main battery connector. It is giving a steady GREEN signal, when electrolyte level is above the cell plates, and turning to flashing RED, when the electrolyte level is below the cell plates. Please follow the attached installation instruction. 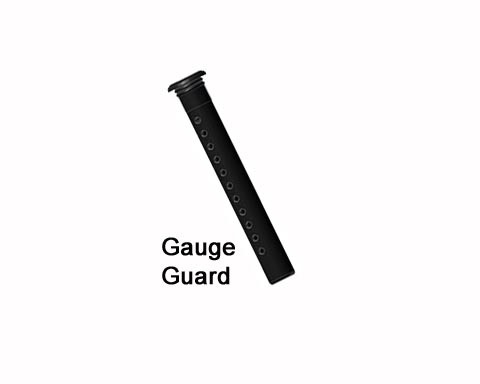 To install the CLS, you either drill a hole in the cell lid and use the Gauge Gauard version for sealing and measuring the probe length, or you make use of the air agitation hole. For this installation you need the O-ring version. Please select company type in the mentioned groups. 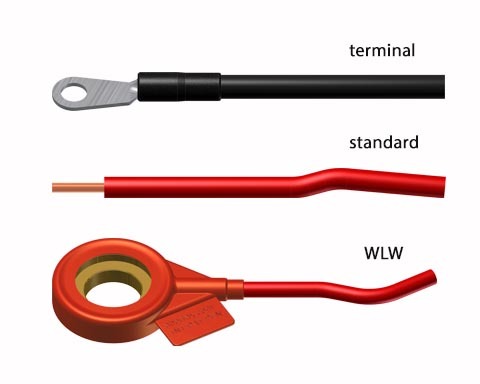 If you need a specific length of the CLS probe, please specify the length of the probe, measured from the top of the battery lid to the top of the battery plates. Please enter any comments to your request. I would like to be commercially contaced by ABERTAX Group of companies through the following communication channels. For details please see our Data Privacy Statement. You confirm that you have read the Data Security Statement of Abertax and agree that your contact data is stored according the Data Security Statement. Your consent can be rewoked by sending an email to datasecurity@abertax.com.